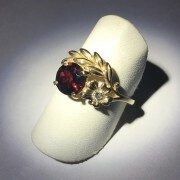 Categories: Jewelry, Ring. 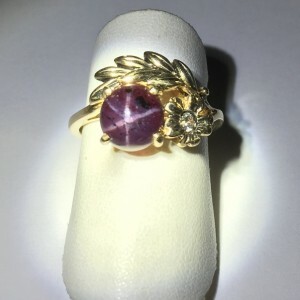 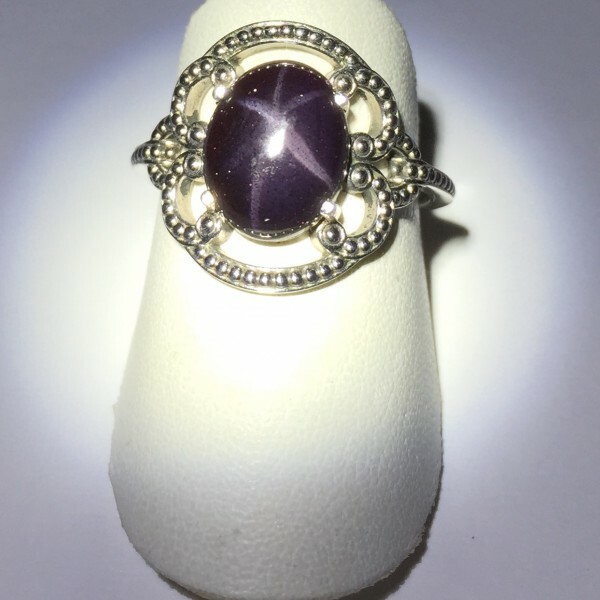 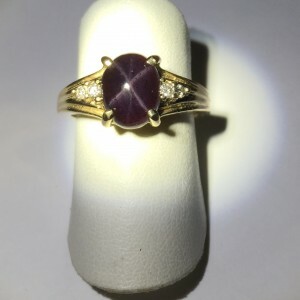 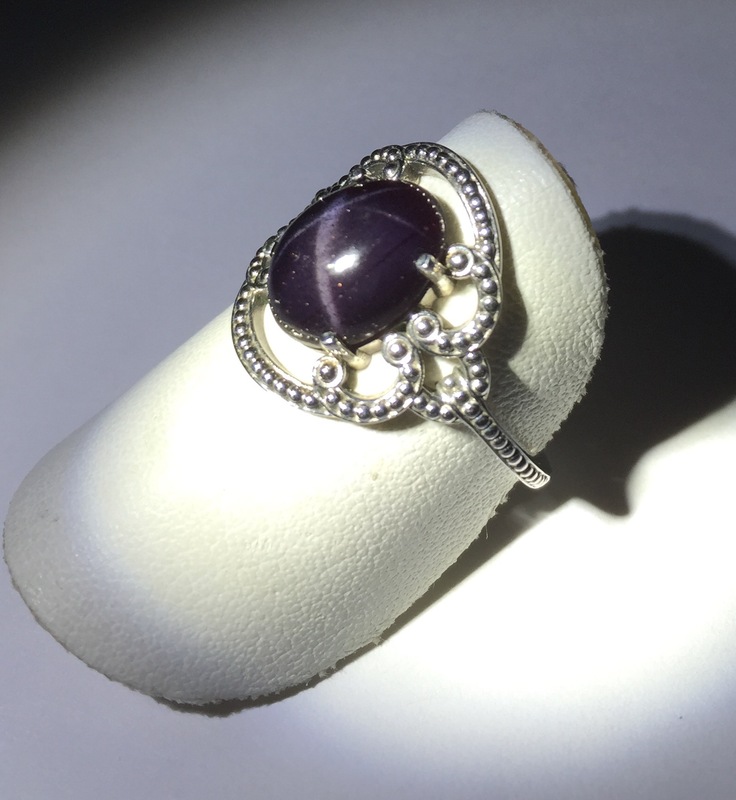 Tags: Ring, Star Garnet, White Gold. 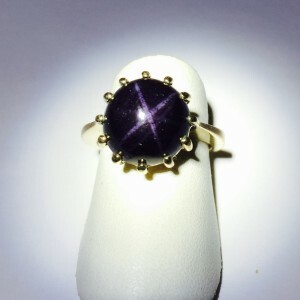 We call this the fancy ring because it just has a fancy look even without flashy diamonds. 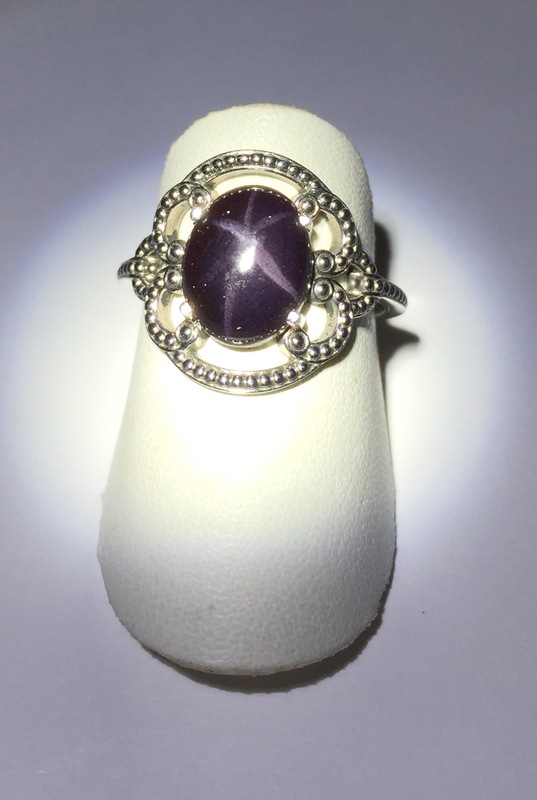 The tiny beads almost give this ring the look of having diamonds. 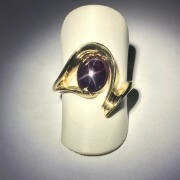 This ring does have a lower profile with a large look on the finger. 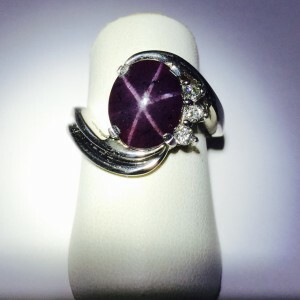 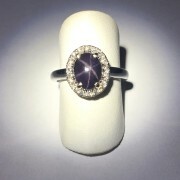 The Star Garnet is a 10×8 oval with strong six rays. The setting is 14kt white gold.